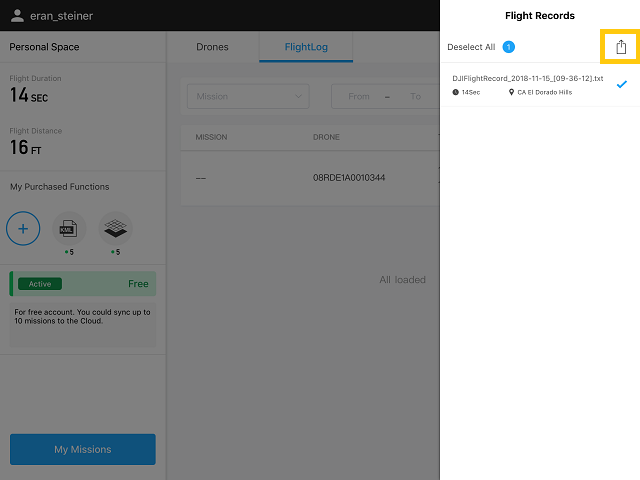 The latest version of DJI Ground Station Pro (2.0) now supports the detailed logging for Airdata. Please follow the instructions below to upload these log files. 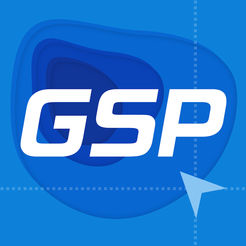 After flying, click on the Home button in DJI GS PRO app. 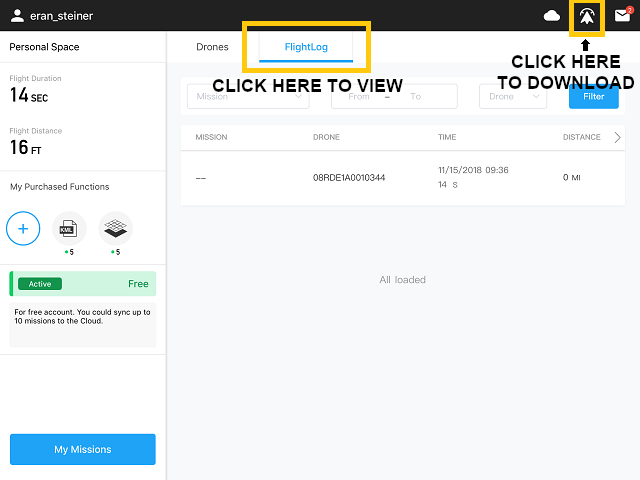 Click the flight icon (on the top right corner) to download. 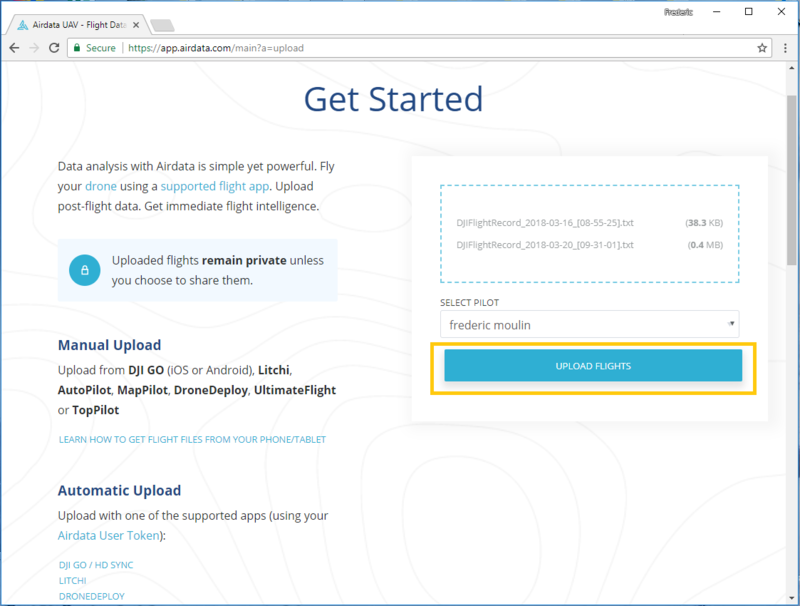 Click "Select All" or just select the flights you would like to download. 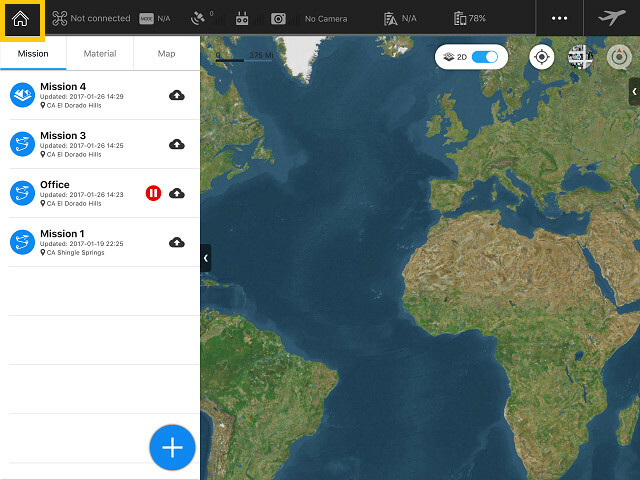 Once flights are selected, click the export icon. In the pop-up window select "Web Server". 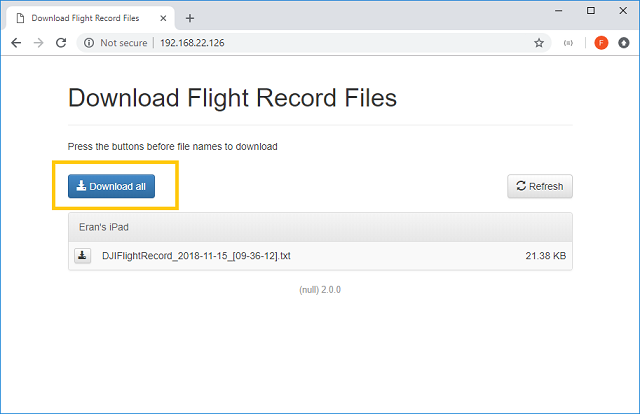 Note: If the URL shows as "(null)", you could share the log file via email instead: Go back to step 5 above, choose "System Standard Share", then "Mail", and continue to step 8. 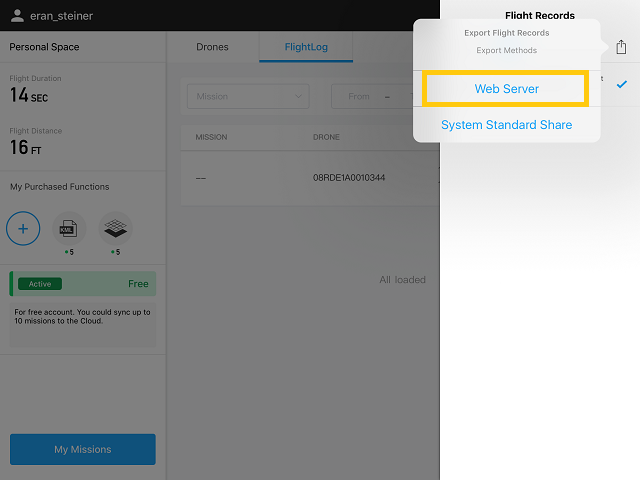 Open the URL in your desktop PC browser (the screenshot below shows an example), you will see the web interface created by the DJI GSPro app. Click the "Download All" button. This will download a zip file containing all the logs files. 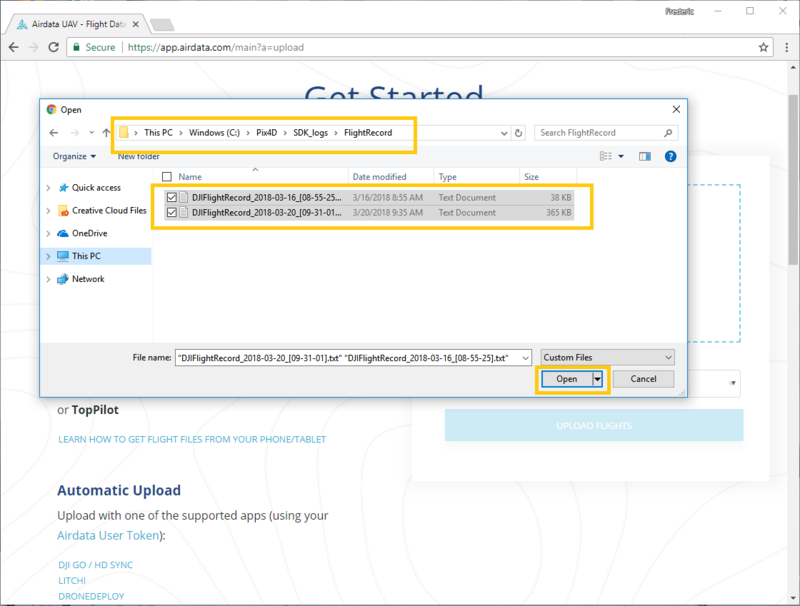 Unzip it and save your log files in a folder that you can later find. 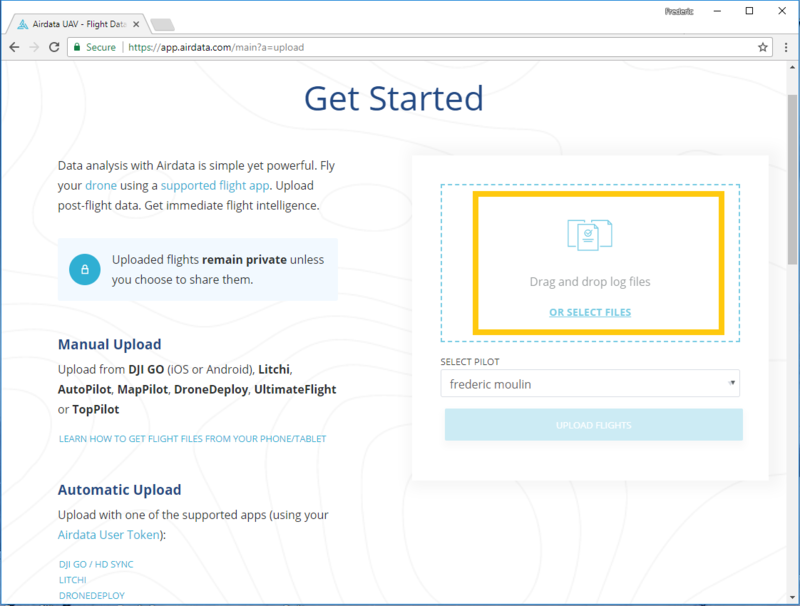 Once your flight logs are saved on your computer, go to https://app.airdata.com/main?a=upload to upload them to Airdata. 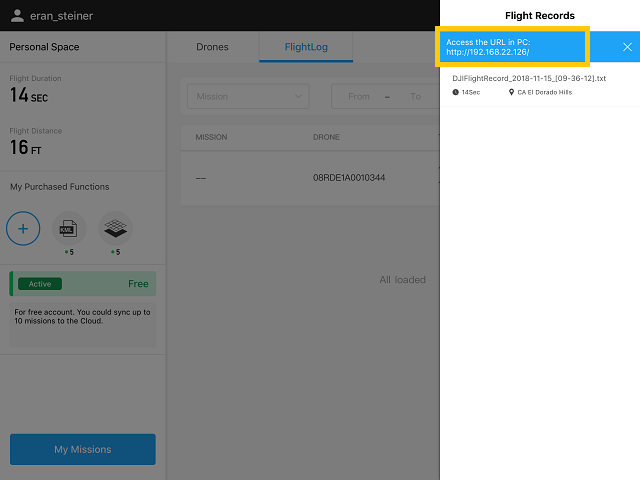 Drag and drop your flights into the drop box area or click and select them from the pop-up window. 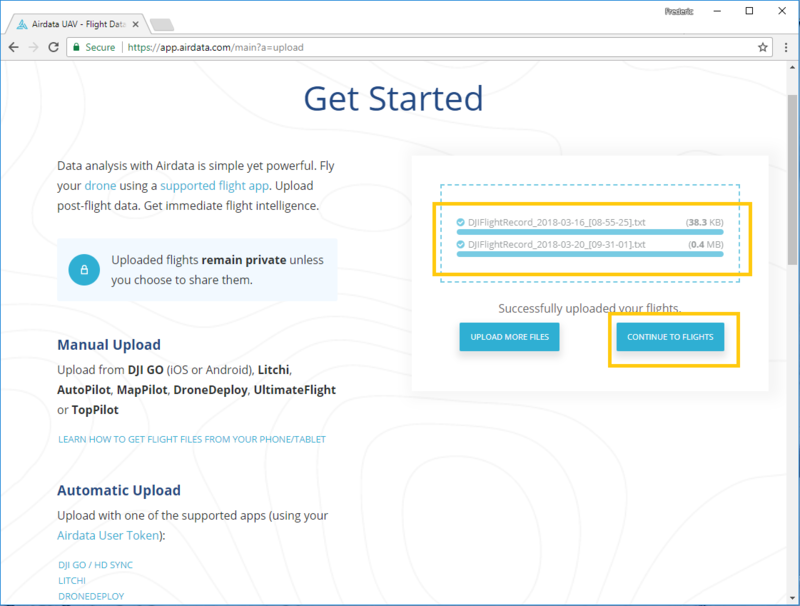 Then click on "Upload Flights" to upload them to Airdata. 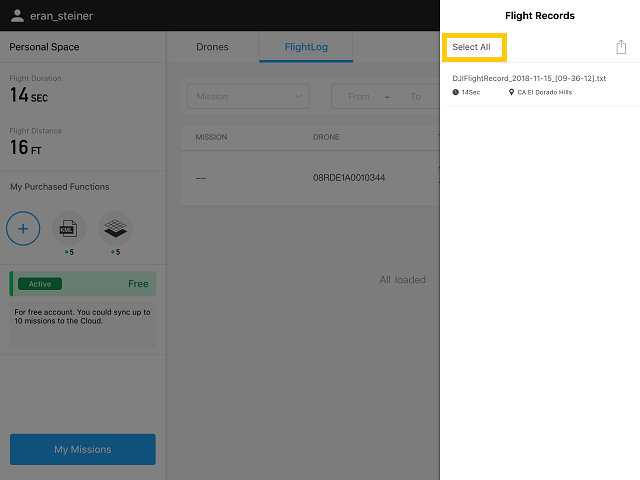 Once uploaded, click on "Continue to flights" to view them. Still have questions? See our forum to join the discussion or contact us.